Founded in late 2007, Advanced Machinery Services was created by Steve Foster and Stephen McGloin. They had previously been directors at Wadkin before deciding to go it alone and set up their very own specialist machinery and spare parts company. 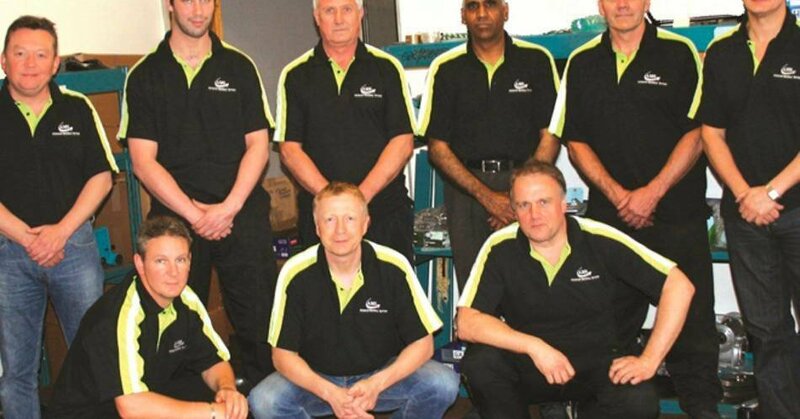 Unfortunately, shortly after Steve and Stephen left Wadkin to start Advanced Machinery Services, the company that had previously employed hundreds of engineers and dealt with multiple distributors throughout the world, Wadkin, was forced to close. Having close ties to Wadkin, Advanced Machinery Services decided to buy the intellectual property rights to Wadkin's woodworking machinery. We still proudly display their logo alongside our own. AMS now have over 10 years experience in providing machinery and spare parts for production facilities and operations of all sizes - from the smallest of workshops to major manufacturing facilities. No matter what size or type of production facility you operate, we're certain we will be able to find exactly what you need and help you every step of the way! Over the last decade, Advanced Machinery Services has formed strong relationships with manufacturers of world renowned machinery, helping to support them with both the supplying of woodworking machines and equipment, high quality spare machinery parts and even servicing and rebuilding of aging machinery! AMS is now on twitter! Follow us @AdvancedMachine to stay up to date with all our latest news and offers!